Beautifully hand-crafted wooden furniture has always been a staple of high-end interior design. A standout wooden piece can create warmth, add a delicious woody scent and make a statement while still remaining functional. This beautiful table combines two very disparate materials into a startlingly interesting contrast, with the clear lucite leg offsetting the rich walnut top. It’s made by IG Furniture, an American hand-crafting company that delights in creating original, heartfelt pieces. The company mill their own lumber locally and focus on sustainable production and design. In 2015, Linden Roche made the ‘big shift’ from being a professional builder to follow his great love – custom furniture design. To judge by the stunning pieces emerging from his workshop in Torquay, Victoria, it was a wise decision! 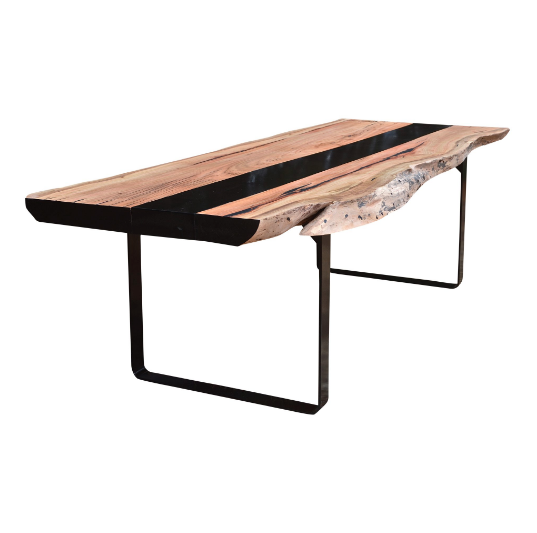 We love this one-of-a-kind ‘Blue Gum’ table which captures the absolute essence of Australian design. 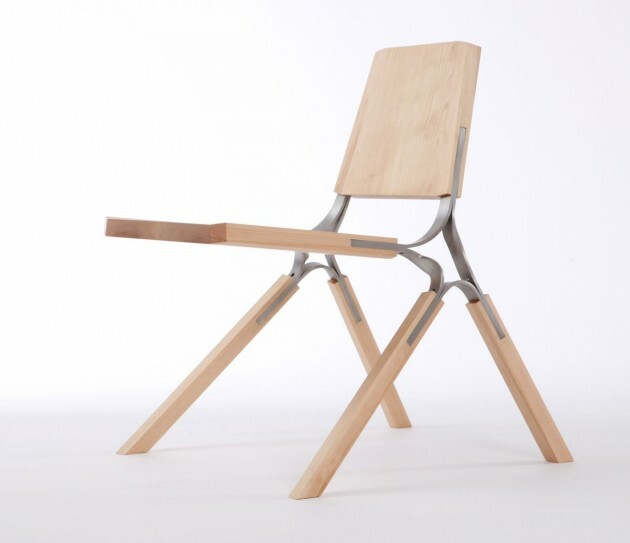 Roche uses recycled materials and makes furniture that is built to last, with immaculate craftsmanship and detailing. 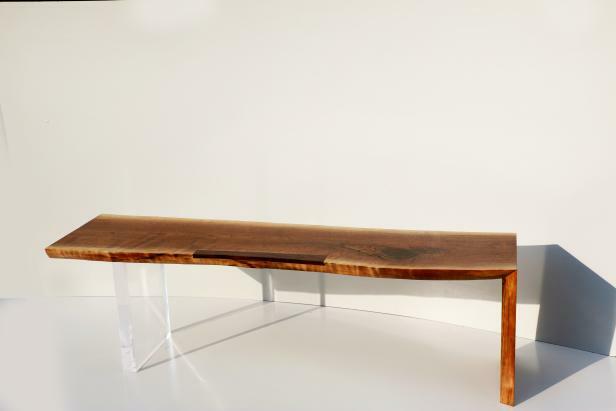 While he retails under the name of U Custom Furniture, the artisan will be exhibiting at the Australian International Furniture Fair (AIFF) under ‘Designs By Linden’. He will be part of the AIFF Loves Homemade feature within the show, which celebrates emerging artists and studios. 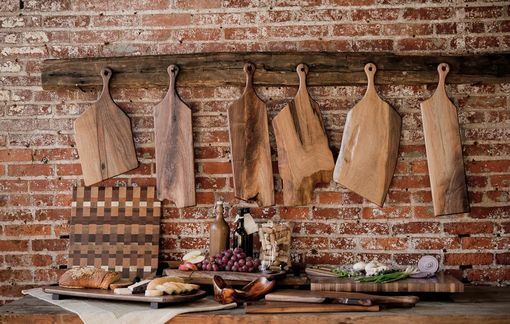 Although not technically furniture, we love these Live Edge Walnut Cutting Boards and their look against the exposed brick wall. Perfect for a rustic, inner-city kitchen with flair! The term Live Edge refers to the natural edge of the wood which has been incorporated into the design. Designed and made by Matthew Shober, these cutting boards are the perfect illustration of how wood can effortlessly add warmth to a room. The Australian International Furniture Fair (AIFF) will feature leading artisans and furniture companies from both at home and abroad. It’s Australia’s premier networking and buying destination for the industry. Register now – entry to the trade-only exhibition is free.